Frustrated by endless searches for features on the Microsoft Office 2007 ribbon? Download and install this software to bring back the familiar menus and toolbars. 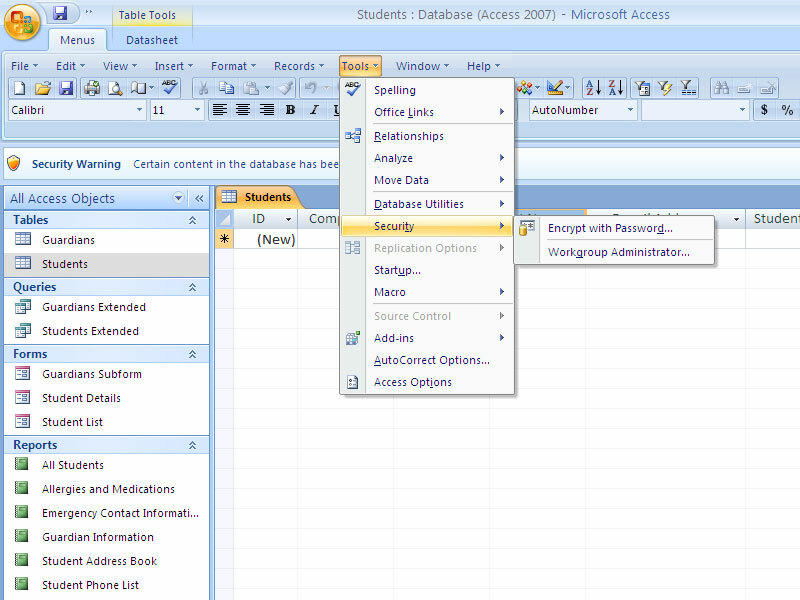 The classic view allows you to work with Office 2007 as if it were Office 2003. 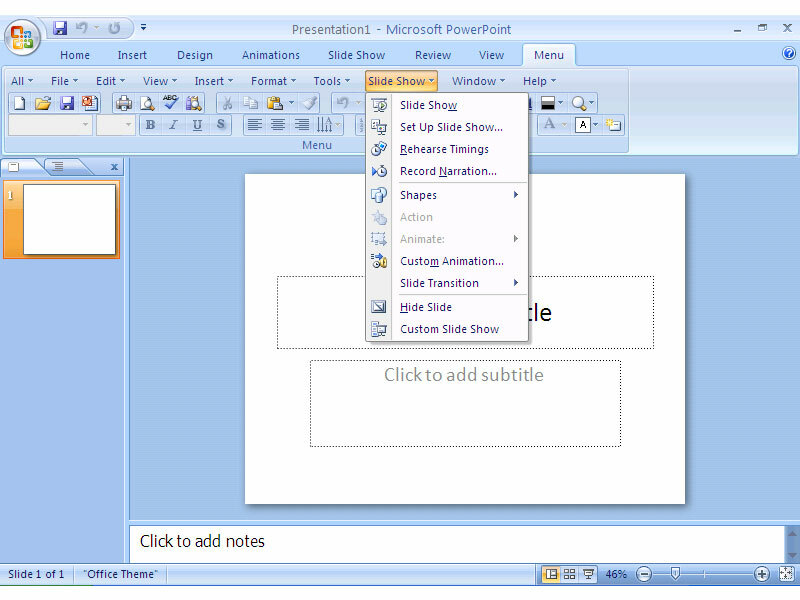 It not only includes Classic Menu for Word, Excel and PowerPoint 2007, but also includes Classic Menu for Access and Outlook2007. All new features and commands of Microsoft Office 2007 have been added to the main menu, standard toolbar and formatting toolbar. The Office 2007 ribbon tabs are available so that you can have the best of both worlds: the new interface and the classic interface. Office 2007 Menu and ToolbarYou will see the old toolbars and menus on the ribbon of Office 2007. This will make Office 2007 look like 2003, XP and 2000. With the Office 2007 menus, you can still enjoy many old functions of Office 2003, Office XP (2002) and Office 2000 that have been removed from Office 2007. Quickly find and execute the commands you want with the old menu and look. Use Microsoft Office 2007 suites and applications immediately, without any training or tutorials. Save time and money on training! Improve working efficiency! This software supports all languages that are supported by Microsoft Office 2007, including: English, French, German, Italian, Spanish, Portuguese, Japanese, Dutch, Chinese and more. 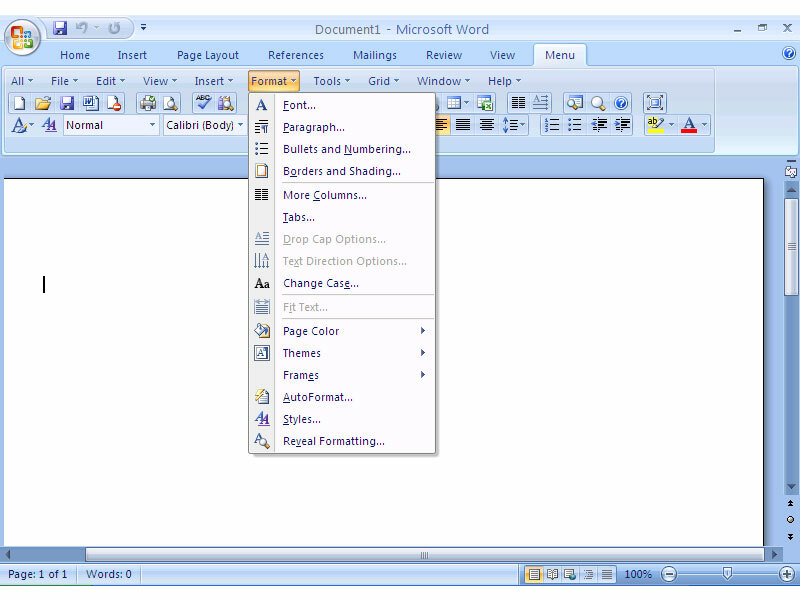 If you change the language of Office 2007, the language of the classic menu will automatically be changed. There is no need to change any settings. All languages are included in a single installation package. It is very easy to deploy this software on all the computers in your organization or enterprise. In addition to the main menu, standard and formatting toolbars, this software offers additional toolbars, such as comments, proofing, tracking, mailings and reference for Office 2007. You can display these toolbars as needed (click View > Toolbars > Show Additional Toolbars). The original old keyboard shortcuts of Microsoft Office 2003, 2002 and 2000 are available. Press Alt-Q, and you can use the familiar keyboard shortcuts again. Many Office add-ins provided by other independent software vendors are very difficult to install and use, but the Classic Menu for Office 2007 is very easy to install and uninstall, just like common software. You do not need any special skills or technology to use it. You will receive a free upgrade to the Classic Menu for Office 2010 and 2013 as your needs require (same license numbers), if you purchase the Classic Menu for Office 2007 after January 1, 2010. 100% satisfaction is guaranteed, along with free updates (service packs, patches and higher versions of the Classic Menu for Office 2007) and support. The software is fully compatible with Microsoft® Windows® 8 (32/64), Windows 7 (32/64), Vista (32/64), XP, Windows Server 2003, 2008 and 2012 (32/64), Windows Terminal Server and Citrix System. The classic menus and toolbars are designed for all suites of Microsoft Office 2007. It is easy to show or hide the built-in tabs on the ribbon. 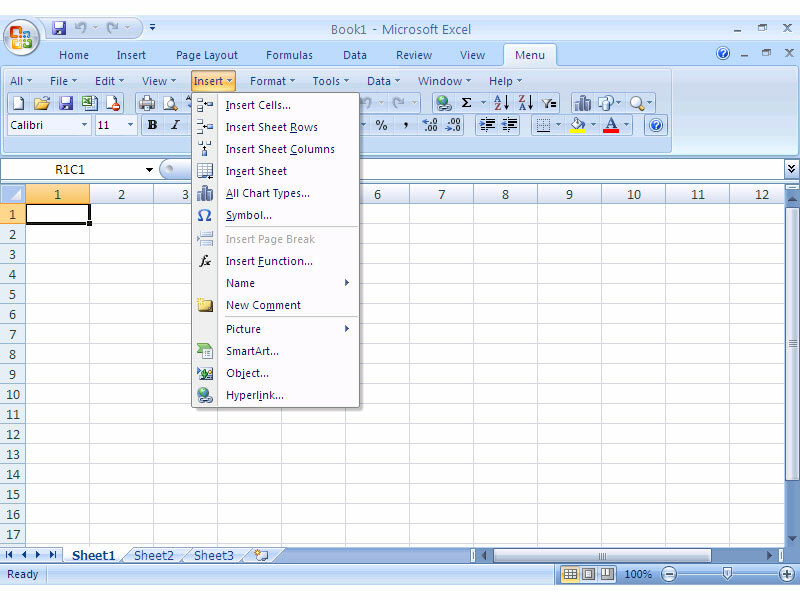 It is also easy to show or hide menus and toolbars in Office 2007. You can change the position of the classic menus. Stable and ReliableThe classic menu provides faster startup. It has a small file size:4.4 MB(.exe file) -7.6 MB(.msi file). It is also based on standard Microsoft Office add-In technology, which is more stable and reliable. 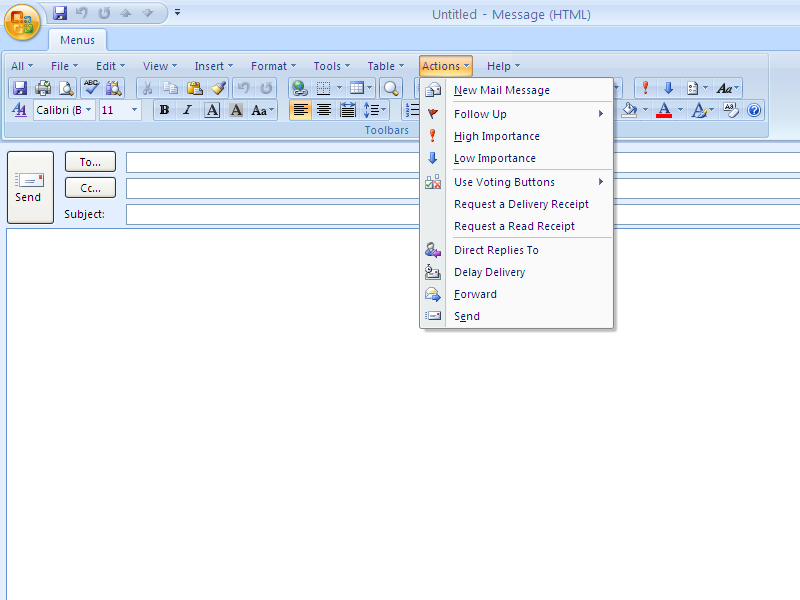 You will see the old toolbars and menus on the ribbon of Office 2007. This will make Office 2007 look like 2003, XP and 2000. With the Office 2007 menus, you can still enjoy many old functions of Office 2003, Office XP (2002) and Office 2000 that have been removed from Office 2007. It is very easy to deploy this software on all the computers in your organization or enterprise. Click to learn more about how to automatically deploy Classic Menu for Office 2007 to all computers in your enterprise or organization. Quickly find and execute the commands you want with the old menu and look. Use Microsoft Office 2007 suites and applications immediately, without any training or tutorials. Save time and money on training! Improve working efficiency immediately! Old Keyboard Shortcuts of Previous Versions of Office The original old keyboard shortcuts of Microsoft Office 2003, 2002 and 2000 are available. Press Alt-Q, and you can use the familiar keyboard shortcuts again. The classic menu provides faster startup. It has a small file size:4.4 MB(.exe file) -7.6 MB(.msi file). It is also based on standard Microsoft Office add-In technology, which is more stable and reliable. Only Microsoft Office 2007 Compatibility Pack Is Enough? Which One Is More Economic, Microsoft Office 2007 Converter or Classic Menu? You can find our products on Microsoft Office Downloads / Marketplace. Thank you very much for your very useful advice. Everything worked perfectly. May I take the opportunity of saying how much I like the Classic menu for Office product. It is absolutely excellent and has saved me many, many hours of frustration. I’ve recommended it to several colleagues, who are equally satisfied. You don’t know how much I appreciate this application!!! I still can’t believe that Microsoft doesn’t have this built into their Office 2007 product. You folks to the rescue :o) Have a great weekend! I had been remaking the tool menus, what a pain, does MS know that you do not change something that already works great. Well, I found Addintools threw a Google search and installed your software, you don't know how wonderful it is to have my customized toolbar back after almost a year of their "NEW" look. All is fine now thanks to your staff at Addintools.